Ed Parkinson, VP of Automotive Solutions, will be a featured speaker at the 12th Digital Dealer Conference & Exhibition on April 4th at 10AM. Contact At Once!, the leading provider of dealer chat software which connects online shoppers with car dealerships, today announced that Ed Parkinson, VP of Automotive Solutions, will be a featured speaker at the 12th Digital Dealer Conference & Exhibition, scheduled for April 3-5, 2012 at The Rosen Shingle Creek Resort in Orlando, Florida. Mr. Parkinson’s session entitled, “Connecting with Customers in Every Moment of Truth” will take place on April 4th at 10AM. 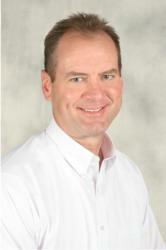 Ed Parkinson has been working with automotive dealers for over twenty-five years. He has been an advocate and champion of conveying the value of new services and products that 'move the needle' in a positive direction for automotive dealerships. Parkinson joined Contact At Once! in 2007 after seeing how the technology worked, and understanding how dealer chat can extend the reach of a dealership’s sales staff to connect with online shoppers researching their next car purchase. Dealer chat from Contact At Once! allows consumers to easily connect and converse with an available dealership representative, to ask questions and receive instant answers. Websites which deploy Contact At Once! chat typically connect with 25% more shoppers compared to dealerships without chat. Contact At Once! empowers dealerships to directly answer their incoming chats. At those times when store activity is heavy, and a salesperson is not available, the Contact At Once! Chat Receptionist service is available as a backup to ensure that chat opportunities are not missed and car buyers are responded to. To learn more about the 12th Digital Dealer Conference & Exhibition and to register for the event, please visit http://www.digitaldealerconference.com/. To learn more about automotive chat solutions from Contact At Once!, please visit http://www.autodealerchat.com or stop by the booth 339 located inside the exhibit hall during the conference. Contact At Once! is the leading automotive chat software provider and operator of the industry’s only dealer chat network connecting more than 9,000 auto dealers with the websites car shoppers visit most often. Adding Contact At Once! dealer chat software to a website typically increases a dealership’s sales conversations by at least 25%. Named to the Inc. 500 as one of America’s fastest growing businesses in August of 2011, and recipient of the Highest Rated Chat Provider by auto dealers on Drivingsales.com in 2010 and 2011, Contact At Once! is headquartered in Atlanta, Georgia. For more information about the company’s auto dealer chat product, please visit: http://www.autodealerchat.com.